As a longtime resident of Boston, Chris Remmes is recognized as one of the leading residential brokers in the Boston market. Chris brings a professional approach as well as a service-oriented philosophy to his real estate practice. He has built an excellent reputation and developed a loyal customer following of past clients and referrals by serving them well. Chris joined Hammond Residential after ten years in the real estate industry to provide his clients with the latest and most comprehensive marketing and cutting-edge technology available today. Hammond Residential was acquired by Coldwell Banker Residential Brokerage, which is renowned for its innovation and ingenuity and for leading the real estate industry with integrity and professionalism. As a graduate of Massachusetts Maritime Academy, Chris previously worked as a Deck Officer for Exxon where he sailed around the world and satisfied his passion for travel and adventure. At Exxon, his intuition and skills with technology established him as a leader. He was selected for special assignments, which developed technology solutions for the maritime industry. However, his love of Boston brought him back to his hometown. His career in real estate started in 1998 in the mortgage lending business. During this time, he obtained his MBA from Boston University. His knowledge of the real estate market and mortgage experience gives him a wide breadth of knowledge, which has helped him establish himself as a top broker in the Boston market. 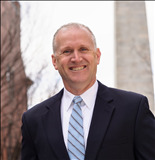 Chris works out of the Coldwell Banker offices in the South End and Charlestown; he is knowledgeable in all the downtown neighborhoods of Boston.